British TV is weird to stateside viewers. Many shows run for six episodes per season, also known as a “series.” For example, BBC’s “The Office” ran for two series for a total of 12 episodes. The U.S. version of the “The Office” ran for 9 seasons and a total of 201 episodes. Tradition — That’s the way it’s always been done. Creatives and producers simply work within that framework. Small Creative Team — Often there is just one writer (or a pair working together), and that allows for greater risk/creativity. Compare that to a U.S. show like “The Big Bang Theory” which has employed dozens of writers over its run. Money — BBC is publicly financed, so smaller is better. In the U.S., the singular goal of most shows is to reach a 100-episode threshold. That means it’s eligible for syndication (think of how many times “The Big Bang Theory” airs at any given time today). Breaks — Gives the creatives involved time to produce a higher-quality product and consider other projects. 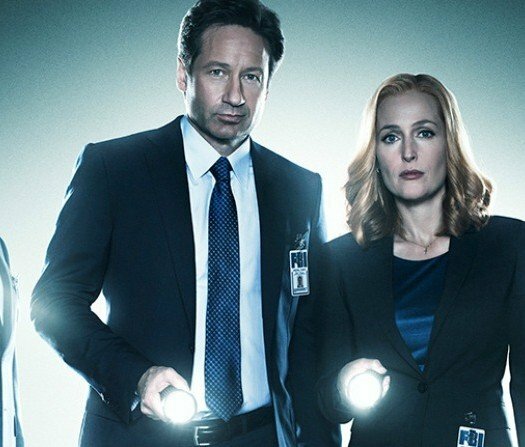 But that’s changing here in the U.S.
And Fox recently rebooted “The X-Files” for a brief, six-episode run reminiscent of how the BBC operates. And if you didn’t get enough of “X” star Gillian Anderson then check her out in the BBC’s “The Fall,” which is currently running on Netflix. “The Fall” is a tense psychological thriller set in the politically charged city of Belfast. DSI Stella Gibson (Gillian Anderson) is tracking a serial killer (Jamie Dornan) who’s elevated his stalking of prey to philosophical heights. The cat and mouse chase that follows could devolve into a predictable police procedural. The acting of both Anderson and Dornan raise the stakes. You can feel the tension between the two. FAST FACT: “The Fall” is from award-winning writer Allan Cubitt of “Prime Suspect” and “Murphy’s Law” fame. DSI Stella Gibson is a complex character. She owns her sexual power and shares a similar, predatory nature with Dornan’s serial killer. She wouldn’t be good at her job otherwise, and the show deftly explores the thin blue line between cop and criminal. It’s easy to see how the movie “Fifty Shades of Grey” would have benefited from following the story from Grey’s (Jamie Dornan) perspective versus the hapless Anastasia Steele’s point of view. Dornan does intelligent-meets-menacing well. However you look at it, ‘The Fall’ is worth catching on Netflix and BBC America before Series 3 comes out later this year. “Fall, Series 1, The [Blu-ray] ” and “Fall, Series 2 [Blu-ray] ” are available March 1. The former offers a behind-the-scenes “featurette” while the latter serves up the same plus deleted scenes. The third and final series of “The Fall” will air later this year on BBC 2.